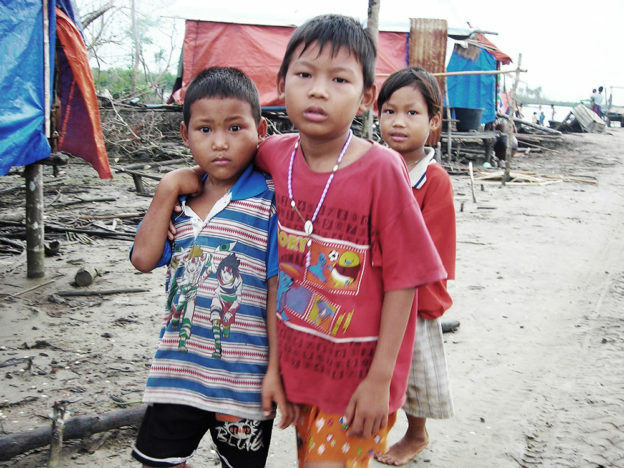 The activities of People In Need – Gerhard Baumgard Stiftung in 2008 were overshadowed by the emergency relief after Cyclone Nargis. For the first time since being establish in 2004, PIN asked for donations from third parties; the success was overwhelming and beyond our expectations. In the three months after the Cyclone hit on May 2/3 we received EURO 170,000 from private donors and institutional donors contributed EURO 275,000. The money donated to PIN was largely spent for relief missions to the remotest areas of the Delta where only a few international NGOs provided help opportunistically. Only in the first days after the Cyclone we could freely travel into the Delta area. Later, when the Myanmar Government restricted the movement of “foreigners”, PIN had to run most of its relief efforts “on remote control” with Burmese nationals who were free to travel. We conducted our relief efforts and the relief missions into the Delta with the help of Buddhist Monks and Christian Priests. Positively, being kept away from the Delta, we could spend time to arrange donations for relief and rehabilitation projects of local NGOs. In addition to the EURO 445,000 raised for PIN, we could arrange about EUR 400,000 from German private sector foundations for emergency relief, medical care and rebuilding of boarding houses and orphanages. An additional EURO 145,000 came in as follow-up donations to help 800 school children and orphans to attend school the following year (2008/09). These children were from Delta villages where the schools had been destroyed completely, about 250 of them had been orphaned by the Cyclone. Furthermore, in the first weeks after the Cyclone, PIN provided short-term loans for the relief efforts of International and local NGOs which could not get money into Myanmar fast enough; these interest-free loans were all repaid within within a couple of weeks. In September 2008 Myanmar PIN moved away from the emergency relief and focused on rehabilitation and its other projects in the country. 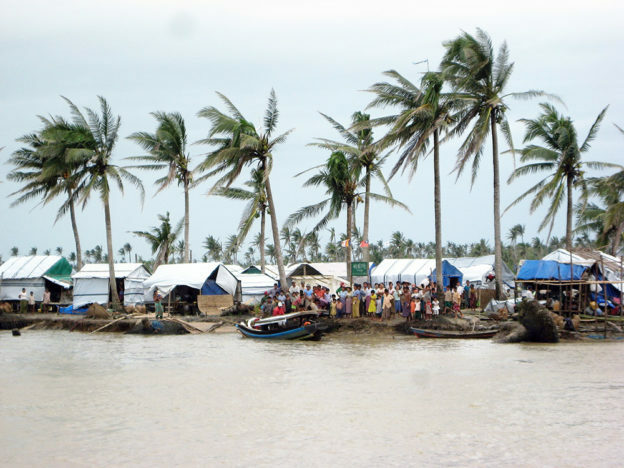 The category 3 Cyclone Nargis struck Myanmar on 2nd and 3rd May 2008, making landfall in the Irrawaddy Division, approximately 250 km southwest of Yangon, and affecting more than 50 townships, mainly in Yangon and Irrawaddy Divisions, including Yangon, the country’s largest city. With wind speeds of up to 200 km/h accompanied by heavy rain, the damage was most severe in the Delta region, where the effects of the extreme winds were compounded by an up to 15 feet (4.5 meter) high storm surge. The scale of human loss and suffering was vast. According to the official figures, nearly 140,000 persons were either dead or “missing” and nearly 20,000 had been injured. Some 2.4 million people were severely affected – equivalent to more than a third of the population of 7.3 million in the affected Townships – with up to 800,000 people displaced from their homes. Over 450,000 homes were destroyed and an additional 350,000 houses were damaged. Floods inundated over 600,000 hectares of agricultural land, killing up to 50 percent of draught animals. 75 percent of the health facilities and up to 60 percent of the public schools in the affected areas were destroyed or severely damaged. The impact on the Irrawaddy Delta, a remote area, heavily populated and difficult to access, was particularly devastating: in addition to the lives and livelihoods lost, the timing and extent of the natural disaster greatly affected the critical planting season in the breadbasket region of Myanmar, with significant quantities of seeds and harvested crops lost. Cyclone Nargis was the worst natural disaster in the history of Myanmar, and the most devastating cyclone to strike Asia since the 1991 cyclone in Bangladesh. The scale of the cyclone’s impact in Myanmar is comparable to that of the Indian Ocean Tsunami in Indonesia in 2004. The UN estimated that at least US$ 1 billion is needed to cover the recovery needs of the affected areas over the following four years as food assistance and as support for agriculture, housing, basic services and as support to communities to restore their livelihoods and rebuild assets. 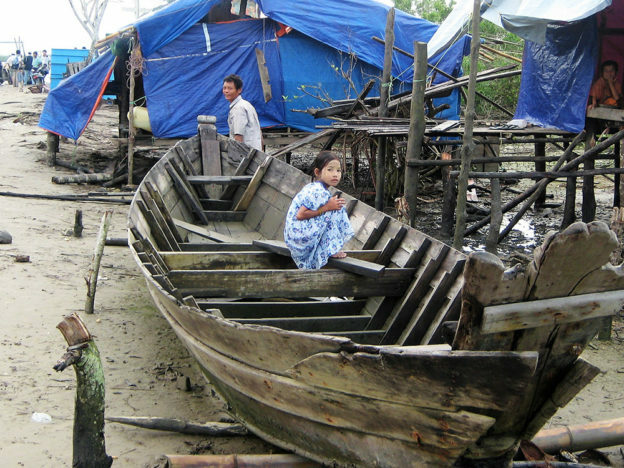 The total damage caused by Cyclone Nargis is officially estimated at US$ 4 billion. In May and June 2008 PIN organized eight emergency relief missions to remote villages in Delta, each mission lasting between one and five days. We provided food, cooking gear, clothing, blankets, shelter materials, medicine and in some cases seeds and diesel fuel to the villagers. Our own relief missions benefitted about 12,000 survivors directly. In addition to organizing our own emergency relief missions, PIN supported emergency aid of Buddhist monks and Buddhist monasteries with EURO 95,000. The money was used to buy supplies for cyclone victims and to rebuild monasteries as shelters for the displaced refugees. A big share of the donations went to Christian parishes in the Irrawaddy Delta. In the first days after the Cyclone Christian priests and lay persons went out by boat to bring survivors from the remote villages at the southern Delta coast to four evacuation camps on safe ground inland. At peak the camps accommodated a couple of thousand refugees and our donations provided daily food, water, shelter, medicine and security. In addition, through Catholic priests we continuously supported 8 remote villages with about 7,600 inhabitants for about three months. The help of the Buddhist monks and by the Christian Churches was provided to everybody in need, irrespective of confession or ethnicity and in many cases Christian churches and Buddhist monks undertook aid efforts jointly. In Yangon we repaired the cyclone damages at the boarding house at Ye Lai Monastery which shelters HIV/Aids patients; PIN already supported this monastery before the cyclone. Similarly, PIN repaired and expanded the Jewel Rai Nursery for children from poor families in Downtown Yangon. The storm had left many families homeless and the parents appreciated the opportunity to send their children to our free day-nursery where we also provided food for the children. The extension building of the nursery was finished in August and the nursery capacity was doubled from 30 to 60 children. After the cyclone we also opened a branch of the Yangon nursery in Dala Township on the other bank of the Yangon River. Starting July 1, 2008 we operated a new nursery for more than 50 children in an unused government building; the nursery provides food and is free; occasionally the parents contribute rice and vegetables on a voluntary basis. In 2007 PIN had started to support Moon Shade Karuna Association, a local NGO, which provides psychiatric care to ex-political prisoners and their families who suffered from Post-Traumatic-Stress-Disorder. 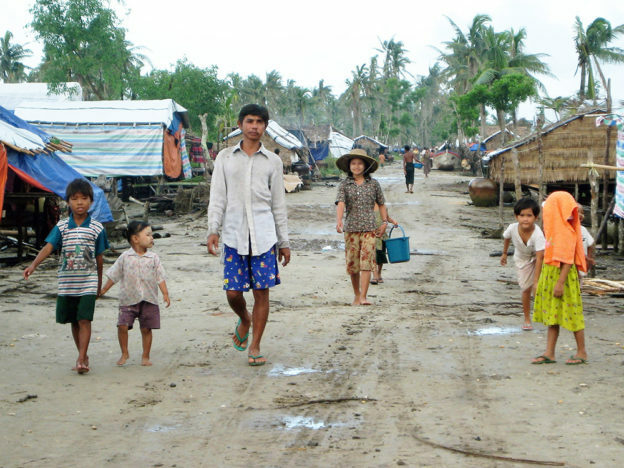 In wake of Cyclone Nargis we extended the program to include psychiatric and medical support for cyclone victims. The volunteers – under guidance of experienced doctors – visited the worst-hit villages in townships across the Delta and provided counseling and arranged for professional psychiatric treatment of the severe cases.